SEBASTIAN – Step Up America – A Call to Good Citizenship announces their essay contest winners, who are from Sebastian River Middle School and Storm Grove Middle School. 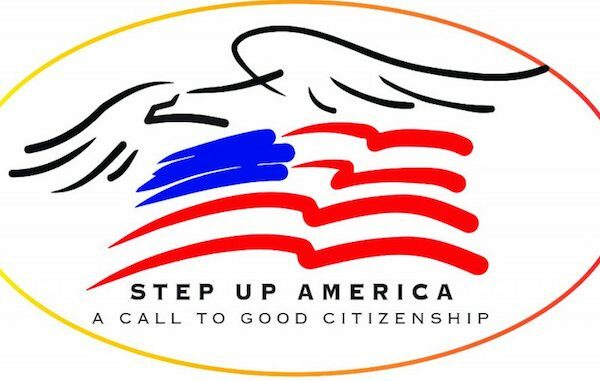 The American Security Council Foundation launched an educational program called “Step Up America: A Call To Good Citizenship.” It was created to teach the youth of today how to become engaged, responsible U.S. Citizens. Over the past three months “Step Up America” has reached more than 1200 students, ranging from Jacksonville to Port Saint Lucie. Additionally, they created a “Good Citizenship” award for students who exemplify what it means to be a good citizen. In October, they launched an essay in Indian River County for all the middle schools. The 1st place winner was Alex McGuigan, from Storm Grove Middle School. She won an all-expense paid trip to Washington D.C. where she will have the honor of participating in the wreath-laying ceremony at Arlington National Cemetery and get to go sight-seeing. The second place winner was Morgan Mackey, from Sebastian River Middle School. She received a $100 visa gift card. The third place winner Hannah Widman was also from Storm Grove Middle School; she received a $50 visa gift card.